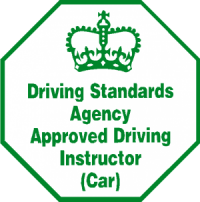 Approved Driving Instructor Training – What is involved. In order to become an Approved Driving Instructor (ADI) you are required to pass three examinations. Also included in the Theory Exam is a hazard perception test. This involves watching 14 clips of which there are 15 hazards. When you see a developing hazard, you have to click the mouse, and then you click the mouse once it develops again into a hazard. Because of the wide range of subjects needed to be covered on the part 1 exam, it is essential to have some training for parts 2 & 3 before taking the part 1 exam. This will greatly help your chances of passing, and will also speed up the process of training. You must drive positively in a brisk business—like way. You should aim to drive as you normally do and not try to put on an act for the examiner. You must drive safely and comply with the legal speed limits. not taking effective observation at junctions including those controlled by traffic lights. This is only a small selection of faults. There are many more reasons for failing the test, but these are the most common. “What will I have to do to pass the Test? Driver and Vehicle Standards Agency examiner will watch you give a client-centred driving lesson lasting about an hour to one of your pupils. After you give the lesson, the examiner will discuss your performance and give you your result. You’ll get your grade, along with your completed approved driving instructor (ADI) part 3 test report form.